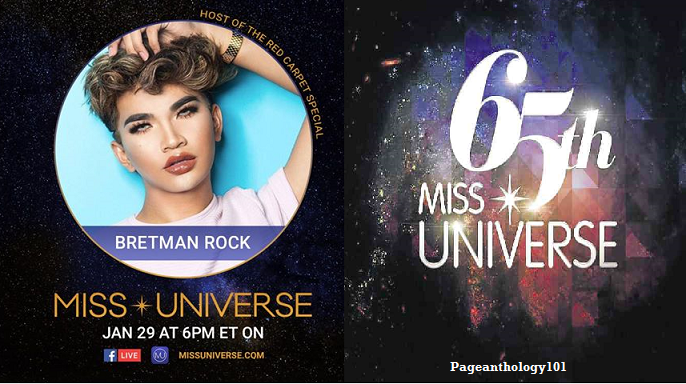 Internet sensation Bretman Rock will host the 65th Miss Universe red carpet. 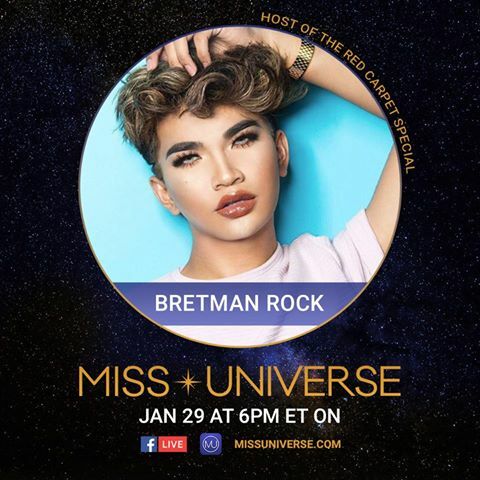 Bretman took to his facebook account to announce his hosting stint for the pageant's finale on January 30th in MOA Arena. Enter Bretman Rock is a 17-year-old Cagayan-born who’s been living in Hawaii since he was seven. He has risen to online fame through his sense of humor and professional-grade contouring skills. The Ilocano-speaking Bretman is followed by over 400,000 people on Twitter, facebook has 1.6 Million likes, YouTube channel, 650,000 subscribers, and 7M in instagram. Fans also can watch the red carpet from their mobile devices via Facebook live stream or through Miss Universe mobile application.